I'm going to talk about dating today, as in the actual act of going out on a date. I think dates are important for all stages of relationship. When you have just gotten together, dates are a good way to get out and get to know each other better. When you have been in a relationship for a while or are married dates are a good way to break up the monotony of life. The long-awaited date:This would be a date planned well in advance. Having a date planned well in advance eliminates the chance that something will go wrong (i.e. movie is sold out, restaurant closes for renovation, ski resort has no snow, etc). 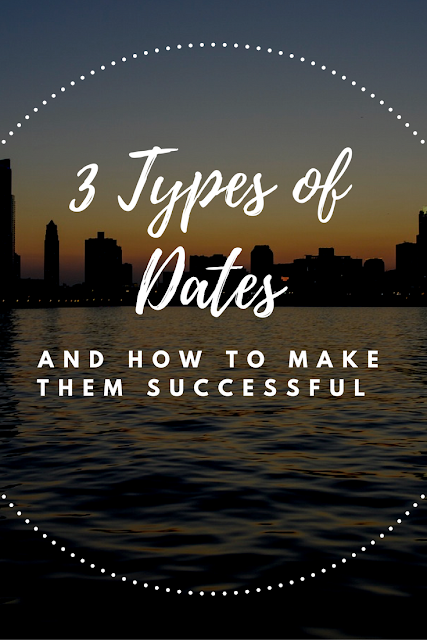 A preplanned date also gives you something to excitedly look forward to in the future if all other aspects of life like work, and school are keeping you preoccupied. The long-awaited date also helps make sure you actually have dates. Its hard sometimes to step away from work, school, etc, to take time for yourself, so if you have a date set for a long time, you are less likely to pass up on it for a well needed nap lol. The spontaneous date:This is the spur of the moment, last minute planning type of date. Now, this is a good thing to spring on your S.O. only if you know that they have the time or are in the mood to go out. If they are game, it is nice to do something unplanned when so much of life is on a schedule. Its almost an adventure to just leave the house and look for a quiet little spot to grab a bite to eat, or see a show last minute. Once again, I caution you to know your S.O. enough to be able to tell if they are in the mood for a spontaneous outing. The home date:Just as the name suggests, this would be a date that takes place at home. The important part of this is to make it a new experience, even if you are in your house. If you guys always watch movies in your room, this time watch movies in the living room, and pop popcorn. Take time to make diner together, or bake cookies. Perhaps rearrange the furniture, or use candles instead of the regular lighting. You want the home date to feel as much like a date, and as less like home as possible. What's your favorite kind of date?